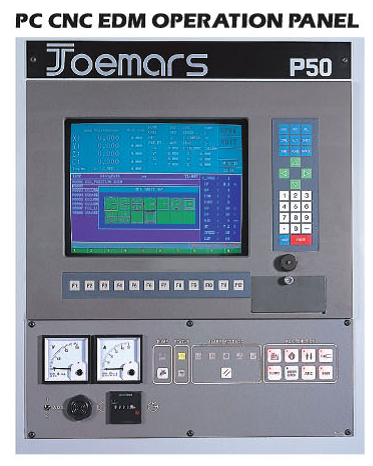 Entry level Joemars 3 axis PC based CNC die sinker. 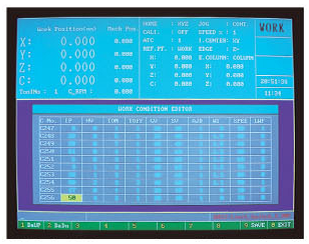 Programming is easy with clear and concise displays (see sample programs). 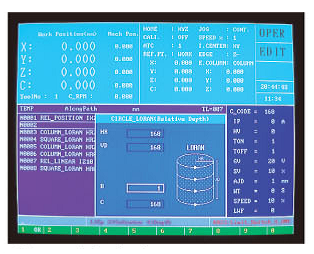 Built in machining data, for different materials and a selection of surface finishes. A library of the most commonly used machining data – Copper to Steel, Copper to Aluminium, Graphite – Steel, Graphite – Aluminium, Steel – Steel, Copper – Tungsten Carbide, and Copper Tungsten – Tungsten Carbide. Each set includes 32 steps. Built in running modes that include, Multi Cavity, Vectoring, Taper, Contour, and Helical machining, together with Multiple Orbiting functions that also allow quick and easy program editing. 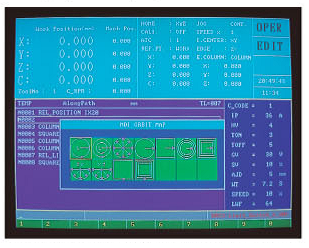 3D graphic display of the mode in operation allows the operator full access to editing.